New revised version 2018: Newly developed sleeve hinges on the handlebars, new display, improved patented folding mechanism. New tyre compound with better roll-off comfort, more stable screw connections. Rediscover your city with Moovi! More compact than a bicycle, greener than a car and more exciting than the subway. 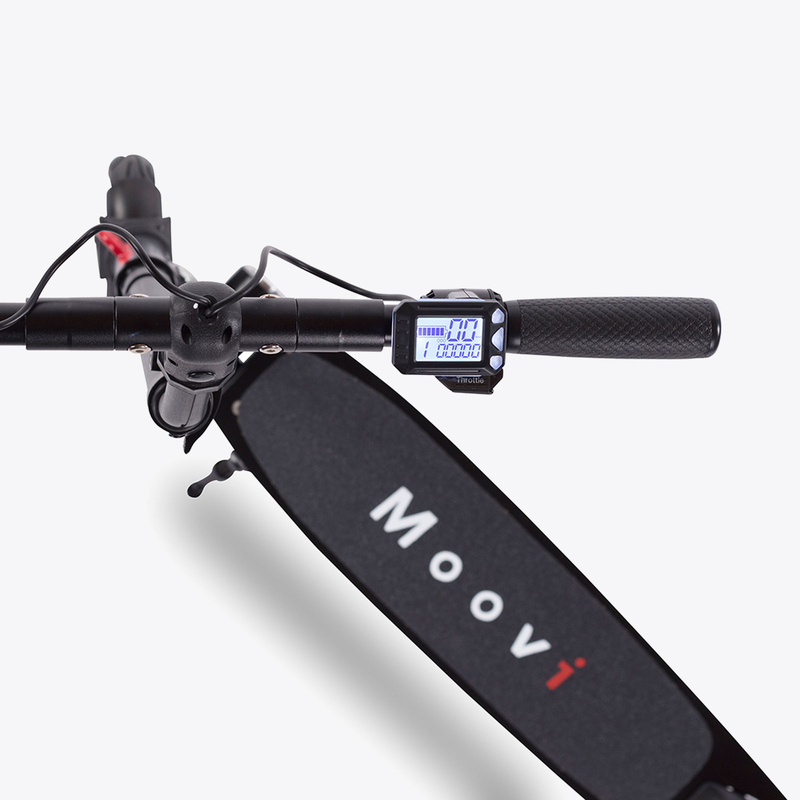 Your Moovi takes you from A to B at up to 20 km/h and is recharged at your power socket in a few hours. 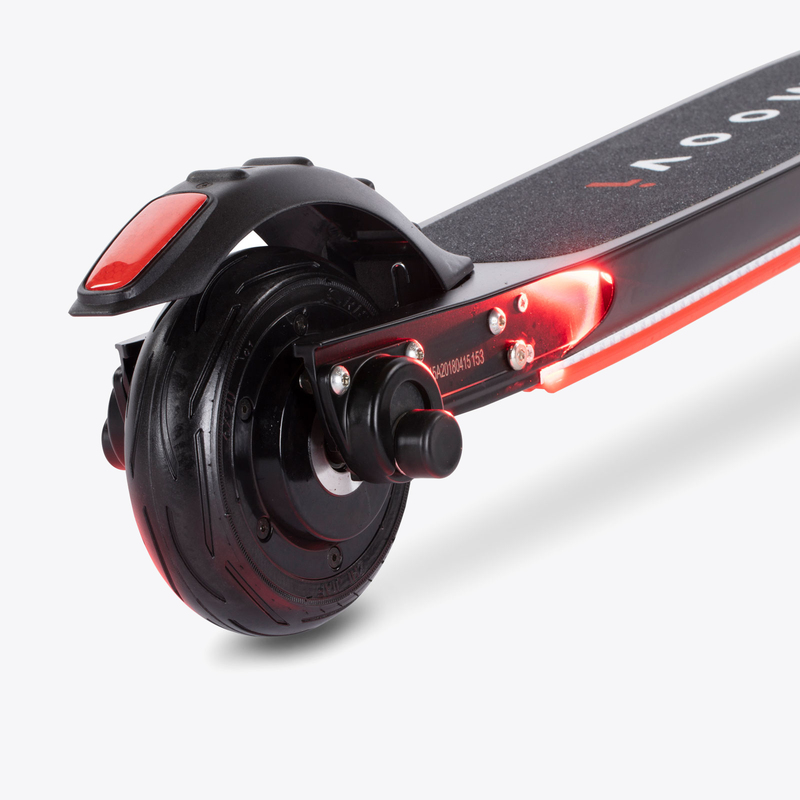 Moovi is one of the most innovative e-scooters on the market: energy-saving front and rear lights give you a safe feeling even in the dark. With a feather-light 9.1 kg weight and the innovative one-handed folding mechanism, you can take your Moovi with you anywhere, even in the subway and in any trunk. 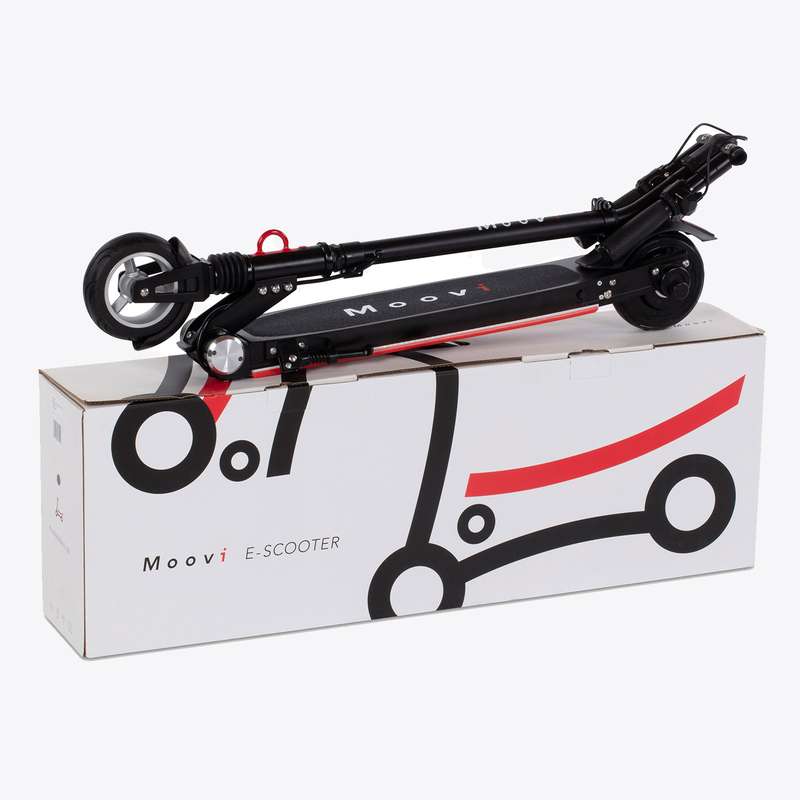 The Moovi is our vision of a perfect e-scooter: light, fast, charming and above all environmentally friendly. 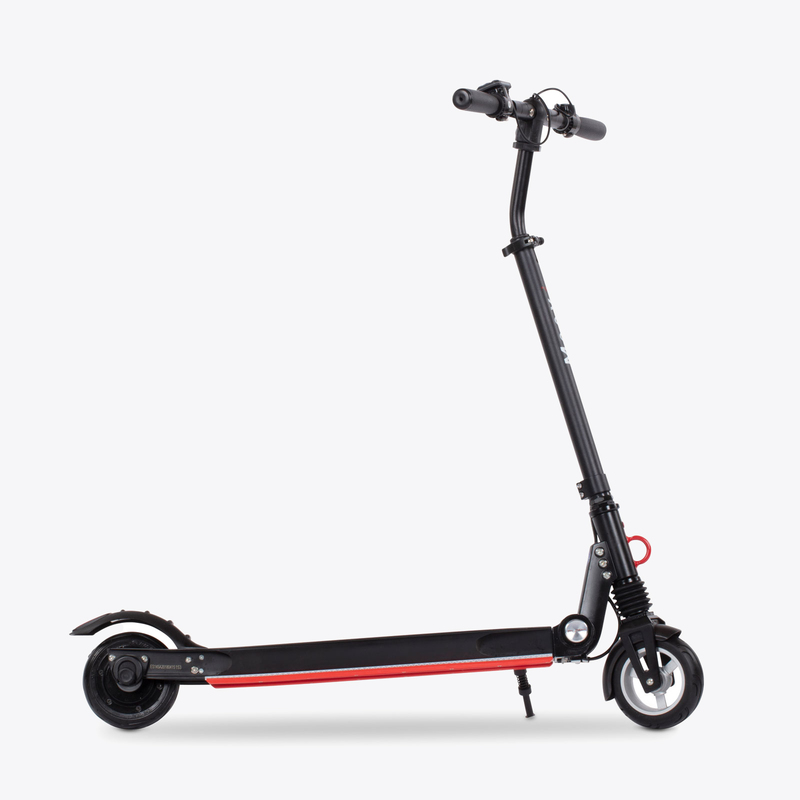 Equipped with a 150W electric motor, your Moovi accelerates up to 20km/h and brings you with one battery charge to almost every destination in your area. 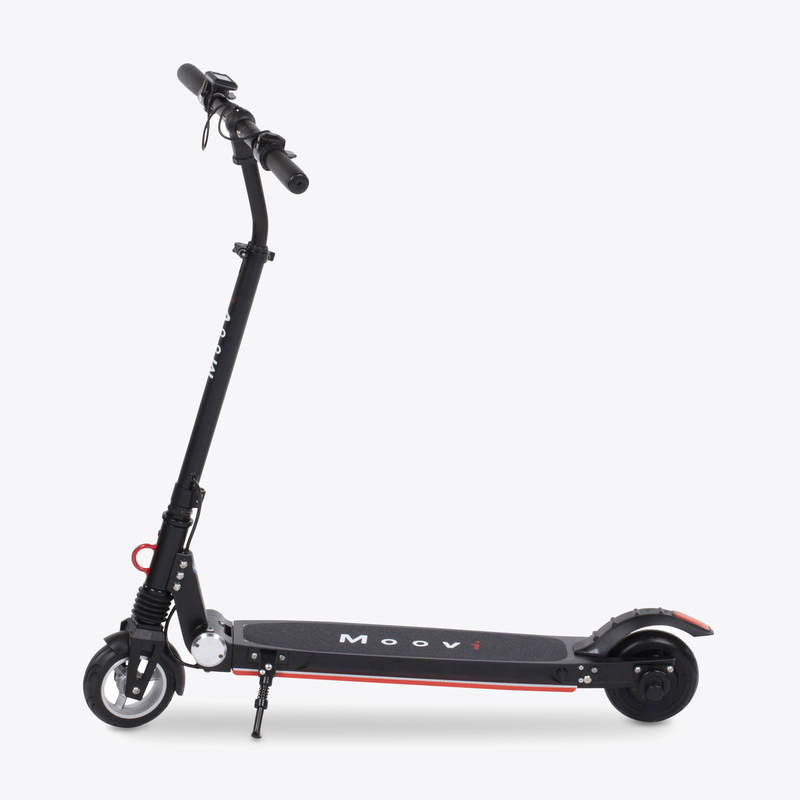 In case of an emergency you can move with your Moovi like on a normal scooter. The innovative locking mechanism allows you to fold your Moovi with just one hand to a compact size that fits in any trunk or even under your bed. 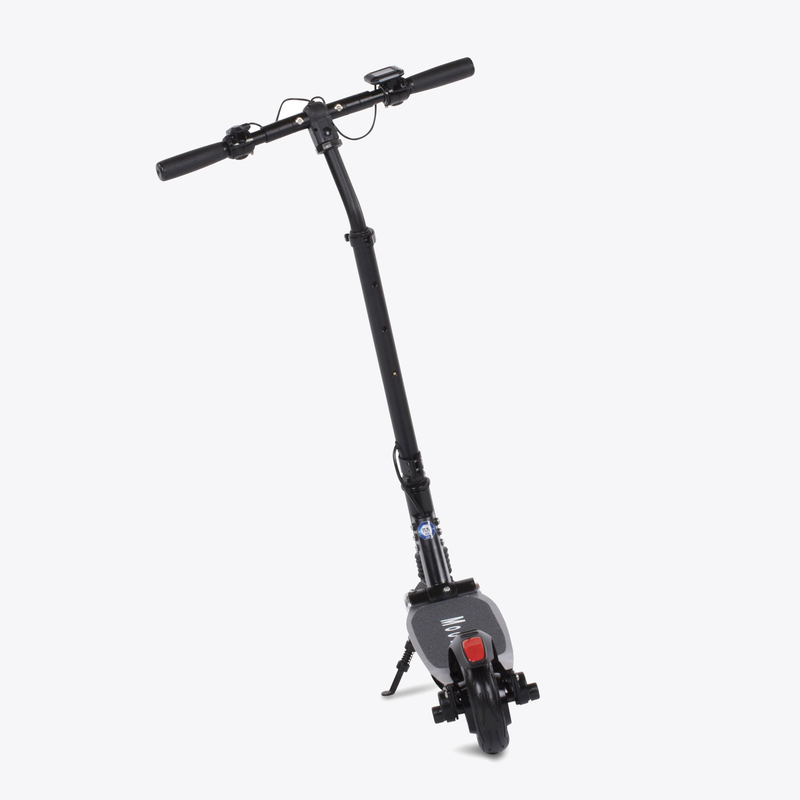 With a feather-light 9.1 kg, your Moovi is one of the lightest e-scooters on the market and is very easy to carry. 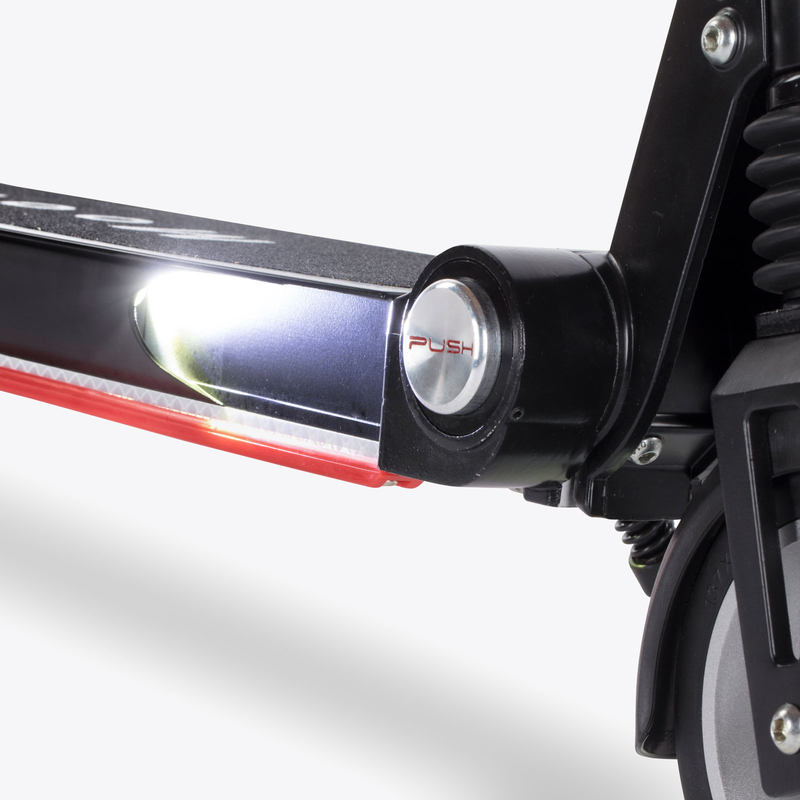 Your Moovi is equipped with energy-saving LEDs as front and rear lights for the night. And if you have to leave your Moovi alone in the dark, you can of course simply connect it. You can find more information in our FAQs. 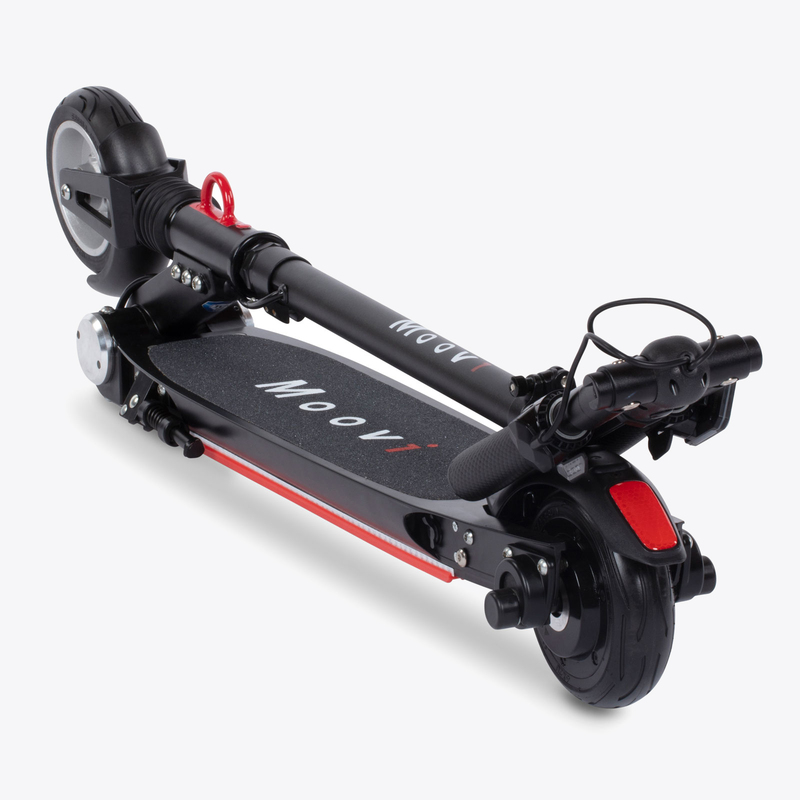 E-scooters like the Moovi may not be used in areas of the German road traffic regulations (StVO) and comparable regulations according to current jurisdiction. Different laws apply in other countries.